A look at the top 10 destinations for Saint Patrick's Day 2013. 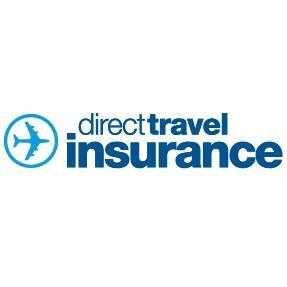 Get travel insurance from Direct Travel for as little as £2.75 throughout Europe. (TRAVPR.COM) UNITED KINGDOM - March 13th, 2013 - On March 17th every year Irish people around the world celebrate the festival Saint Patrick’s Day. As we all know the Irish love to throw a party which is why here at Direct Travel we have decided to share our knowledge of some of the best parades from around the globe. From as little as £2.75 (Europe only) for single trip insurance you can keep your money for the more important things on your holiday! Obviously, for anyone wanting a proper St. Patrick’s Day celebration, it’s got to be Dublin! The St. Patrick’s Festival ensures that there’s something for everyone who has chosen to celebrate in the Irish capital. Go for the festivities and party in the city ‘til dawn. If you’re seeking a genuine St. Patrick’s Day experience take the short trip over for the weekend celebrations. Outside Ireland, St. Paddy’s Day is probably taken most seriously in the USA, with around 11.9% of the USA’s huge population having Irish ancestry. Since 1762, New York has been holding official celebrations – today its parade now draws more than a million spectators. It’s tradition in NYC to pinch people who aren’t wearing green – a reminder that leprechauns are alleged to pinch people not wearing green – so you might have to find a hue that works, unless you want to find yourself covered in bruises by the end of the day! A huge 15.8% of Boston’s population is made up of Irish or their descendants, so as the Americans are so fond of pageantry and celebration, it might come as no surprise to discover that the celebrations in Boston begin a full week before St. Patrick’s Day! What with it lasting a lot longer than most St. Patrick’s Day celebrations, it naturally draws a large amount of revellers. Around 850,000 people attend some portion of the celebration – whether it’s the Gaelic Gourmet Gala, the concerts performed by numerous Irish bands, or the infamous parade itself, which accounts for nearly 600,000 of the total spectators. Where else is more fitting to spend St. Patrick’s Day than somewhere which has been dubbed ‘The Emerald Isle’? On arrival in Montserrat, your passport is even stamped with a Shamrock! St. Patrick’s Day on this Afro-IrishCaribbeanIsland also calls for a whole week of celebrations. For anyone who wants to celebrate their St. Patrick’s Day with an exotic South Sea twist, you can’t go wrong with Montserrat! While Chicago’s Irish heritage isn’t as strong as Boston’s, they take St. Patrick’s day very seriously nonetheless. The Chicago River is dyed green especially for the occasion. Not many Singaporeans actually know (or care) about the meaning of St. Patrick’s Day. Still, this hasn’t stopped them celebrating the tradition by wearing green and Irish dancing. There are Irish bars to be found in Singapore which are focused on creating a homely Irish atmosphere. The parade is a kid-friendly open-air event that includes street performers and live music, regularly pulling in a 4,000-strong crowd around the Asian Civilisations Museum. The Bavarians enjoy a massive open-air party in Munich around this time every year. Germany is very popular with Irish tourists who visit here to work as it is a focal point in Europe. Expect to see Irish dancing and hear plenty of traditional music until the small hours. Argentina has the 5th largest Irish community outside Ireland and tens of thousands of people participated in last year’s St. Patrick's Day street party. Thanks to the mild climate, the party usually carries on well into the following day. The only downside of an Argentine St. Paddy’s Day is that Guinness costs twice as much as local beers, due to import tariffs. Of course the Aussies celebrate St. Patrick’s day – Australians are renowned for their love of the Irish. If you want to go somewhere hot to celebrate St. Patrick’s Day, Sydney fits the bill, especially as autumn is just starting, so it’s not unbearably hot. Sydney plays host to numerous Irish communities, and the parade will take place on March 17th, with all 32 Irish counties represented. The Koreans love an excuse for a parade and the Irish Association of Korea has been celebrating St Patrick’s Day annually since 2001. Their Seoul parades regularly attract close to 15,000 spectators. Activities will begin on Sunday March 17th in the D-CubePlaza, Sindorim from 12.30pm to 6pm and it’s free. Expect army bands, folk dancing, singing, Gaelic football and plenty of green. Established in late 1992 and trading since 1993, Direct Travel Insurance specialises in travel insurance for individual travellers, couples and families up to the age of 75. Direct Travel Insurance offers a range of cover options and added benefits including cover for over 100 sports and activities enabling customers to tailor their policies for single trip, annual multi trip, backpacking and winter sports. All travel insurance policies are underwritten by AIG Europe Limited. Direct Travel Insurance and AIG Europe Limited are authorised and regulated by the Financial Services Authority. Please note that our policies do not cover undisclosed pre-existing medical conditions or travel to or through Afghanistan, Cuba, Liberia and Sudan.